N2L is a Non-Profit organization that promotes a lifestyle marked by passion and risk. It is a lifestyle that leads us to challenge our fears, build relationships of integrity, and to pursue growth and excellence. 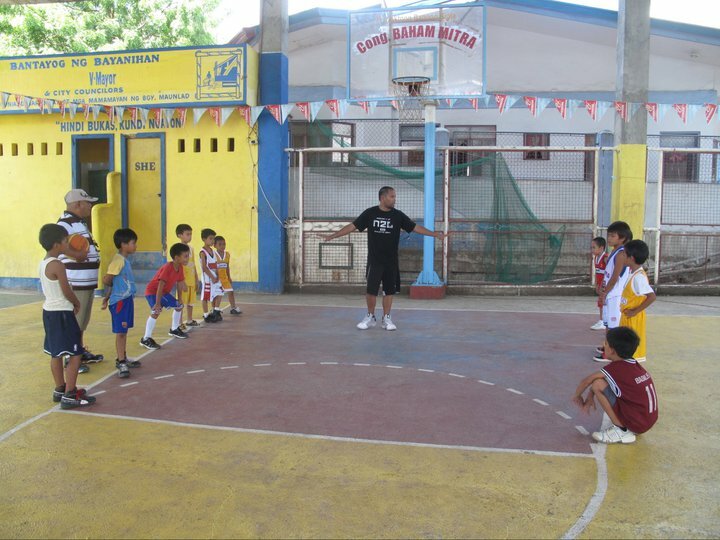 The majority of the Foundation’s work is focused in the Philippine Islands. The goal of the Nothing to Lose Foundation is to empower communities and the next generation of leaders through a culture of encouragement, support, service, and generosity. This allow people to live in abundance as if they had 'nothing to lose'. Our programs are built around medical care, community service, education, athletics, and leadership training. The target of these programs are communities that have poor access to medical care and where youth have limited opportunities for education. The Foundation is made of two major divisions: N2L and N2L+MED. All of the Foundation’s programs fall under one of these divisions. N2L is the division dedicated to providing young people with opportunities to learn leadership through community service, education, and athletics. N2L+MED is the division committed to helping communities experience an enriched quality of life by providing access to quality medical care. In 2006 the Nothing to Lose Foundation was created as a result of two friends (Michael Ferolino and Jon Tulio). Through coaching youth basketball, they came to understand that the passionate pursuit of dreams can result in a positive impact on those with whom they shared their lives. The realization that "life is not about winning but about giving" became the basis for developing a structure that would use service, education, and athletics to share ideals of leadership and community with all ages. In 2008, N2L+Med began when Drs. John Loewen and Chris Courtney joined N2L to coordinate medical missions in the areas served by the youth mentoring programs. The vision was to complement the N2L youth programs and serve the community more completely from a common vision and shared values. The Foundation now includes both divisions, N2L+MED and N2L, both with a common vision of seeing leaders arise and communities transformed. The Foundation and its endeavors have developed into a platform for team members and volunteers to share their passions, talents, and experiences. The emphasis of the Foundation’s activities have been in the islands of the Philippines, specifically the Province of Romblon and more recently the cities of Puerto Princessa (Palawan) and Bacolod (Negros Occidental).